When you first began researching your family tree – whether just a few days ago or several decades past, it’s likely you began by collecting letters, photographs, certificates, and news clippings from around the house. While each record type offers something unique, few are as important to family history as census records. Using census records to research your family is the closest thing to time travel. You can return to a certain date and place in history and “meet” your family, possibly learning about ancestors you never knew existed. Although vital records (birth, marriage, and death certificates) are official sources that document one event for a specific individual, census records capture an entire population at a specified time and place, thereby providing an overall picture of entire family groups. Passenger lists to the United States and Canada, U.S. immigration and naturalization records, and U.S. census records are the most popular among genealogists. Luckily they are now readily available on findmypast.com, and with just a name or keyword search, you can likely find one or more family members listed among the many millions of names dutifully recorded decades earlier. You may have a birth or marriage certificate which supports the dates and spellings obtained from other sources. In this instance, using an electronic index like findmypast.com to search the census may lead to quick success using the name, location, and dates provided. Search tip: If either the last name or first name are prone to misspellings or could easily have been misread by the person who transcribed the record, your search may be a bit more difficult. Searching with name variants will help look for names that are similar to the specific first or last name you are searching for. Prior to the availability of an electronic index for the 1940 census, your only option will be to browse the collection of digitized images in your family search. There are several things you can do to minimize the time required while increasing your chances for success. Using the census date of April 1, 1940, approximate which family members you can expect to find in the census and where. Were you born prior to the census date? How about your parents? If so, browse by state, county, and city/town to narrow the number of images you’ll need to browse. Ideally, you should create lists to approximate the different family groups you expect to find, including the names and ages of siblings, as well as your direct-line ancestors. If you have evidence of an address for your family in 1940, attempt to locate the ‘Enumeration District’ or E.D. which corresponds to that address. An E.D. was assigned as the geographic area used by census workers to complete their task of collecting information within one month in 1940. There are some useful One-Step tools which may help (see www.SteveMorse.org ), but it will depend upon whether your family was in an urban or rural setting. If your family moved during the depression years of the 1930s, you may not know their home in 1940. One of the unique aspects of the 1940 census was to also capture residency information for each person on April 1, 1935. If you have evidence supporting an address in 1935, but not 1940, try browsing images in this area to see what you might find. Many countries conduct a periodic count (often called an enumeration) of the population for one reason or another. In the United States, the first census of the population was conducted in 1790 and has been taken every ten years since. Early U.S. census data recorded the names of heads of household only. Others living within the household were merely represented by counts for age, gender, and other categories. As the U.S. population grew and expanded to include more states and territories, government officials used each census as an opportunity to learn about the changing face and needs of the nation. To address concerns about the confidentiality of information collected for each individual, the U.S. adopted a 72-year privacy rule (other countries use a 100-year restriction). In previous decades, microfilm rolls were made available at regional archives to satisfy the demand from family historians and other researchers. The 1940 U.S. Federal Census was conducted using a census date of April 1, 1940. Therefore all census data specific to an individual was restricted until April 1, 2012. Once the 72-year privacy restriction is met, population schedules become the responsibility of the National Archives and Records Administration. Fact: The 1940 census was the first U.S. census to be released online, meaning that digitized images of previously filmed population schedules are accessible via the Internet. Search tip: You can examine all members of a household and their relationship to one another, as well as the neighboring families in the community. It is common in U.S. census records to find large concentrations of one or more ethnic groups living in close proximity to one another. Many larger cities had (and still have) clearly defined neighborhoods dominated by families of one ethnic or religious origin. Previous generations of family historians may have found census records difficult and time consuming to use. Even though finding aids and surname-based indices were created, microfilm-based census research required patience and persistence. 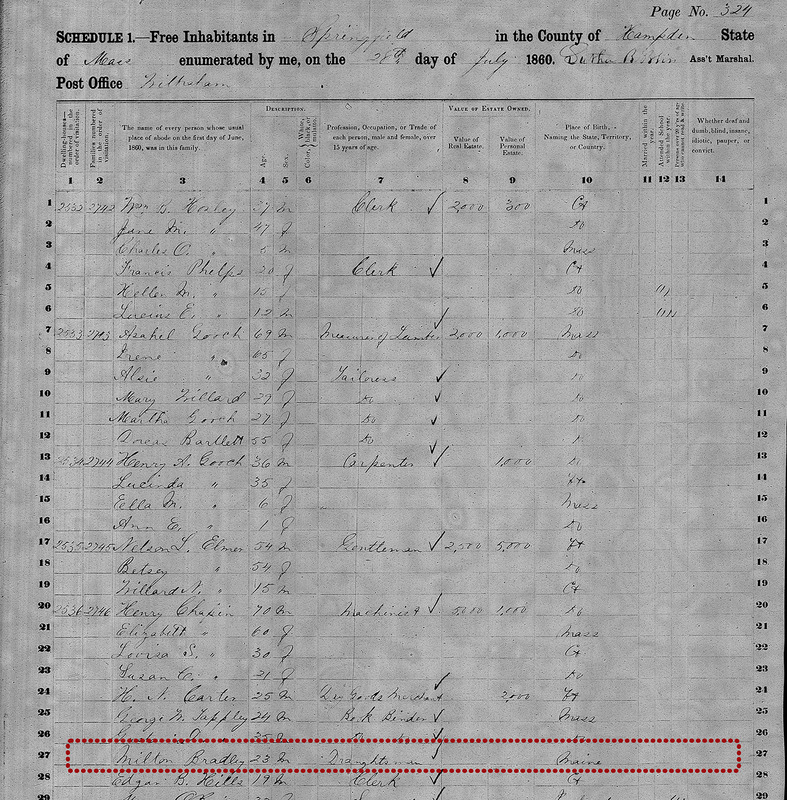 Advances in computer technology have greatly expanded the availability and usefulness of census records, even for those just starting out. The process of scanning and converting records to electronic format is called ‘digitization'. Once census and other records are digitized, the contents are often typed or ‘transcribed’ into a computerized database with corresponding pointers back to the digitized image. After the transcription is complete, the resulting database serves as an electronic index to the entire set of records. Both digitization and transcription provide significant research benefits, but each can also introduce certain challenges. Browsing census records can be a useful strategy, especially for those who have many family members living within a defined geographic area. Search tip: The trick to successful census browsing is to focus your time and effort on the smallest number of images possible. The more precise you can be about an address, the fewer images you’ll have to evaluate line-by-line. Knowing from a birth record that your likely lived at 12 Oak Street in the city of Waterbury, Connecticut, is far more precise than simply suspecting they lived somewhere in Connecticut.